It was “balmy” out yesterday so I took a hike from Rt. 341 south on the AT to Thayer Brook to shoot ice, or, water patterns if there was no ice. I was shooting some foam ripples in a small pool and this rock was near my feet. 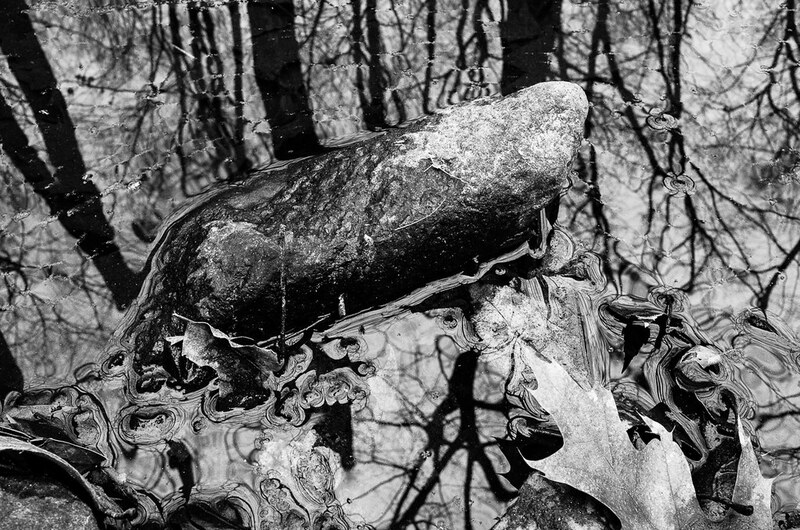 Between the rock, the leaves, the reflection and the small ripples it seemed like it might make an interesting image.